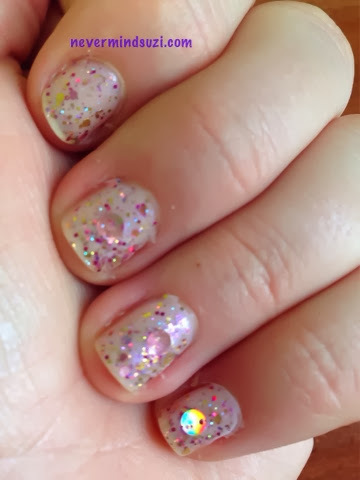 Ooh, this is such a pretty glitter topper. I've used Nails Inc - Philmore Gardens as a base. A purple shimmer with purple, gold and pink glitters and best of all dots! 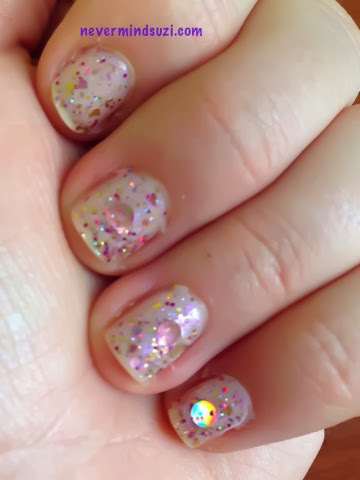 It looks so pretty, look at the colour shift on those dots.